You must be 23 years of age older in order to rent. No person or persons may operate leased watercraft without signing this form as part of the rental agreement. No person under the age of 18 is allowed to operate leased watercraft at any time. Watercraft is not to be operated between actual Sunset and Sunrise Eastern Standard Time. This is not discretionary. Personal Flotation Devices (PFD’s) are required to be worn by all passengers 12 and under while riding on the watercraft. Lessor/Agent has provided all authorized operators with safety and operational instructions. Lessor/Agent has provided printed material explaining the applicable state boating rules and regulations, which includes common courtesies of operating watercraft. Lessee has examined the watercraft and equipment and has found it to be acceptable for the purpose for which it is being leased. Any defects or damages will be noted by lessee on the back of this agreement. Lessee will report any accident, malfunction or breakdown involving the leased watercraft to the Lessor/Agent as soon as possible. Time is of the essence. Gas can only be purchased at marinas on the lake. Customers cannot bring gas from a gas station and put it in our boats, no exceptions. Lessee acknowledges and accepts that the voluntary activity of operating the leased watercraft bears certain known risk and unanticipated risk which could result in injury to operators, passengers, spectators and third parties as a result of the operator’s actions. Lessee agrees to indemnify and hold Lessor/Agent harmless of any and all loss, cost, damages, liability and attorney’s fees associated in enforcing this contract. Lessee further agrees to indemnify and hold harmless the Lessor/Agent from and against any and all claims for loss of or damage to property or injury to persons (including death of a person) resulting from the use, operation or possession of leased Pontoon Watercraft. Lessee also agrees to hold harmless the Lessor/Agent for any loss or damage to Lessee’s personal property carried in or on the leased watercraft, including loss caused by fire, water, theft or for any other cause whatsoever. Lessee is responsible for all cost property damage and personal injury not covered by insurance including the deductible of $1000.00. Lessee has authorized agent to charge credit card up to $800 in addition to the $200 to cover the deductible should such damages or charges incur. It is agreed and understood by lessee that Lessor/Agent shall not be held liable for damages, time lost caused by an accident, breakdown or malfunction of the leased watercraft as a result of improper handling of the Pontoon Watercraft. Do not drive if engine alarm sounds. In the event of a malfunction or a breakdown of the watercraft is discovered, Lessee will immediately report the same to the Lessor/Agent. Continued use of the watercraft that has known defects shall be entirely at the Lessee’s risk and therefore assumes all liabilities of injury and damage to all persons and property that may be caused by continued use. Lessor/Agent or Lessee reserves the right to cancel this rental agreement due to impending bad weather (70% chance of rain or gale force winds) on the day of the watercraft reservation. Decisions to cancel can only be made within 24 hours of the reservation date. When reserving multiple days, rental fees will be prorated based on the time used, if returned early for bad weather. By signing this contract, lessee and others approved on this contract, certifies that he/she has read and understands said rules and regulations and further assumes the responsibility to see that his/her family and guest obey the rules. The terms and conditions of this contract contain the entire understanding between Lessee and Lessor/Agent and that no other representation verbal or written has been made which is not included in this lease agreement. Lake Murray Boat Rentals is located off Hwy 378, 20 minutes from Lexington, South Carolina. We have fleet of 13 rental boats, but we do not have jet ski rentals. If you are in the Columbia, South Carolina area, boating is a fantastic entertaining value. Bring your friends and family as we have pontoon boats that will hold up to 16 passengers. We allow pets and fishing while on the pontoon boats, just don't bring a grill. Book a boat for Birthday parties, special occasions, reunions or just plain boredom, get out and have some fun! If you are booking with-in 24 hours of your reservation, please call 1st to confirm appointment. Lake Murray Boat Rentals, Lake Murray South Carolina. We offer a one day free tube rental with each pontoon rental booking. Largest fleet of pontoons and smaller damage deposits at a lower rate. Monday-Friday rates from $229 for pontoons. Saturday and Sunday from $299. Holidays may carry an extra charge. We also offer pickup and delivery to rental homes for a fee, call for more information. 803-462-5292. Boats can not be rented overnight during the 4th of July Fireworks event, usually held the Saturday before. "The boat made our short vacation an awesome time! It allowed us so much flexibility with its large capacity. It may sound hoakie but your little talk was informative as well as fun. You have a great personality to go along with your wonderful service. You explained everything very well while not treating the renter (rookie boater) in a demeaning way. We will definitely try to be back to rent a boat again. 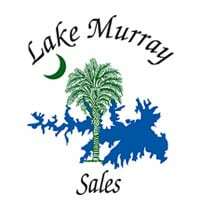 We live in Kentucky but I am a South Carolinian from birth and in my heart and we love Lake Murray!!!" "We had an excellent day thanks to this company! The staff was amazing and the entire process could not have been easier. We will absolutely be back and will rent again!!!" "We rented a pontoon boat for the day. The staff is friendly and very helpful! Will definitely be back again this summer!" ".... boat ran great! thank you, I appreciate the ability to rent in 2hr increments!" "Everyone was extremely helpful and nice. The equipment was in great condition. We had a wonderful day." "We had a great time. Girls had a blast tubing for the first time. It was perfect weather and aside from us getting lost we had a great time." "Our family rented the boat on a beautiful Sunday afternoon. The boat was perfect for us (15 people). We didn't feel cramped at all. The boat performed very well. We actually cruised from Acapulco Marina all the way to the Dam and back. It was awesome. I enjoyed working with Jabrina to set-up the reservation specifics. We met Randy "2" at the dock for boat instructions, and Randy "1" upon return. The service was impeccable. I've already referred family to them." "I rented a boat to do some fishing. The experience was great I was a first time renter. If you want to get out on the water for the day, and you don't have access to friends with a boat, this is the most inexpensive and reasonably priced way to do it. My friends and I agreed that if any of us owned a boat it probably would have cost more to get the boat to the water, fuel it up, and enjoy a 9 hour day on the water than the rental fees. The staff was kind and got us on our way quickly and professionally. I will definitely be renting again soon." "Renting online was very easy. Randy and Randy were very friendly and kept the paperwork portion moving along so we could get our day started. Highly recommend." "Everyone we encountered was so nice and helpful! The boat was massive and accommodated our group perfectly! We were all novice boaters and the staff was so helpful in teaching us how to use the equipment. We had a wonderful day on the water and we hope to be back soon!" "We rented a pontoon boat for a staff relaxation day. The prices were fair, very friendly staff and the boat was well maintained. 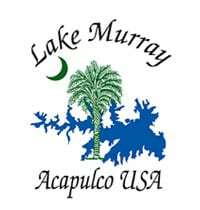 We will definitely be booking our next outing with Lake Murray Boat Rentals." "We had a great day on Lake Murray with the pontoon boat. It was clean and comfortable. The engine ran smooth and started easily. The lake traffic was heavy due to the races and poker run, but the boat was very steady. We will definitely use you again. Thank you." "This was my very first time renting a boat. It was awesome. We basically pulled up, unloaded, jumped in the boat, and took off for the entire day. We came back in, unloaded and took off for home. Couldn't ask for a more convenient day out on the water! I would highly recommend this to anyone. I have to add one more thing, my Mother has medical issues, normally I hear her complain with pain all day;she joined us on the boat, and not one time did I hear a complaint, other than she was not catching enough fish!!! Try it, you will like it!!" "I rented a pontoon boat for the day in celebration for my girlfriend's birthday. I invited several friends, the boat was clean and well working. The property manager was a great individual who explained the workings of the boat without making us feel like out day was being delayed. We also enjoyed the fact that gas was taken out of the deposit as well as a last minute decision to add a tube rental. The day is marked as a memory we all shared and we will return sooner than later. This is my second time renting from this company and this time was even better than the first. Thank you guys." "I rented a pontoon boat. The boat was clean and ready to go when we arrived. The operating instructions were clear and the requirements to operate the boat were great for a novice such as myself. This was also my very first experience renting a boat in my entire life and the entire process and experience was exceptional. I'll rent from you again." "From the initial contact, to the close of the day everything was exceptional! Customer service at it's finest. In a world where is seems that an attitude towards the customer doesn't matter, this outfit is a diamond in the rough. The boat itself was functional and clean; for the very reasonable price, a huge bargain. My wife and I received a thorough brief on the craft and set out to enjoy a bit of fishing and a cruise on the lake - a great afternoon. Do yourself a favor and invest your time and hard earned money with this company, they are a throw back to the days of "customer is always right" and customer satisfaction come before profits. Thanks, it was a breath of fresh air...literally!" "My buddies and I do not own a boat, and until one of us do we will continue to rent from Lake Murray Boat Rentals. The rates are more than fair, the boats we rent are well maintained, and the staff is very helpful. Trust me they are just good people. My plan is to buy a boat this winter, but if I don't I will be sure to rent from Lake Murray Boat Rentals because I trust them." "We rented a pontoon for the day on the lake. The boat was clean and in good working order. Will rent from these folks again." "The Crest was awesome. Large, roomy and well equipped. A great addition to a Lake Murray vacation!" "We have rented pontoons several times and have found it to be a pleasant experience. Everyone was helpful and nice, making the whole process painless. We will be renting again very soon!!!" "I was completely satisfied with the boat that I rented. I had a Wonderful time, and can't wait until next month to rent one again. The staff was very helpful." "Fantastic customer service. We will definitely be repeat customers!" "Staff were very friendly and helpful! They worked with me and my family to ensure we had a good time!" "Easy access, friendly staff, and excellent pontoons." "Honest/Upfront - Loved the staff, and the rental procedures! These guys know their business! Would recommend and rent again! Such a fun time!." "We rented a pontoon boat for father's day and had a great time. The guys at Lake Murray Vacation Rentals were great. We highly recommend them for renting a boat on the lake!" "We rented the Bentley and loved it. It was spacious and perfect for our family get together! The lease office staff was courteous, helpful and friendly. Will rent from here again!" "We loved the Bentley and we have already rented it for Labor Day Weekend as well as renting a house for the weekend. Service at Lake Murray Boat Rentals was extraordinary!" © 2018, Lake Murray Boat Rentals. All Rights Reserved.